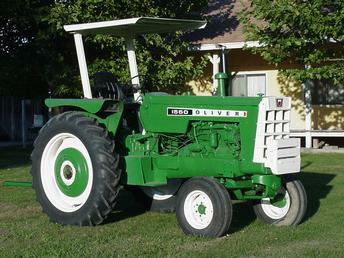 FOUND THIS 1965 OLIVER 1550 AT A DAIRY. IT WAS USED AS A POND PUMPER. THE DIESEL MOTOR AND PTO WERE REBUILT. I ADDED THE SHADE ROOF AND PAINTED THE TRACTOR. IT IS VERY FUN TO HAVE.